Pristine dollhouse of a home. Move right into this charming three bedroom two story featuring kitchen w/stainless steel appliances, formal dining room featuring new laminate flooring, spacious living room w/ decorative fireplace and mantel, all bathed in neutral shades of paint. Upstairs you'll find three nice bedrooms as well as finished attic area that could be utilized as play area or fabulous storage space. Full basement houses newer washer and dryer and has updated furnace and hot water tank. Covered front and rear porches as well as off street parking in small alley beside home. Within walking distance to hospital this centrally located home is minutes from shopping and dining, and provides quick access to all major routes including Route 422, 68 and 8! 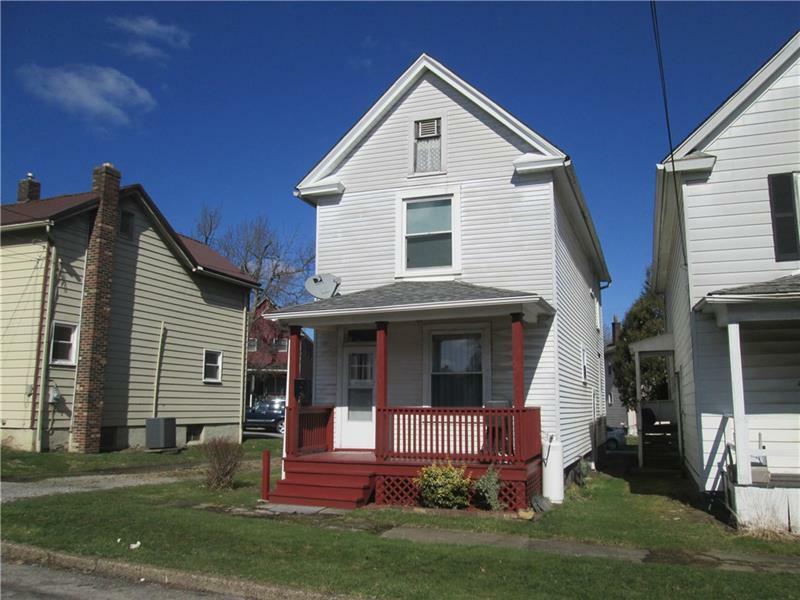 Perfect starter or investment home! Super low taxes!